The Bullion Exchanges Affiliate Program was specifically designed to offer you an easy way of building a fruitful and long-lasting partnership in the bullion marketplace. We are continuously improving our marketing approach and welcome your involvement in the process. Our commission system is structured to give you the opportunity to receive significant payments on sales that you drive. The highest commissions in the industry; up to $55 per sale. Coupon codes that are eligible for affiliate generated sales. Redeemed coupon codes earn 40% of regular affiliate commissions. Our cookie lifetime is set to 30 days to increase your conversion opportunities. When your visitor clicks on our content element, a unique tracking link will be assigned to register you as the lead source. If the visitor makes a purchase on bullionexchanges.com anytime during the settled cookie lifetime, you will get paid a commission based on the value of the transaction. Thus, the greater the sale, the higher your commission. We provide you a wide variety of advertising and marketing materials, such as banners, text links, and many other types of creative content. These elements can be easily added to your website, blog, along with the ability to attach them to your newsletter or post them to your social media profile. You can access the detailed information about each of your visitors' purchase transactions by using our affiliate portal. The displayed reported data showcases the description of each stage, starting from the first click until the sale is complete, along with the associated earnings, including the individual and total commission. Don't miss the chance to monetize the desire for bullion investment! the program, just send us a message at info@bullionexchanges.com and we'll immediately get in touch with you. The Terms and Conditions covered in this advertising agreement (“Agreement”) governs your participation as a member of the Bullion Exchanges Affiliate program (“Program”). The mentions “us”, “our”, or “we” refers implicitly to Bullion Exchanges or any of its associated affiliates or subsidiaries, according to the case, and the mentions “your” or “your” apply to the applicant. The term “site” refers a website while the mention “Bullion Exchanges Site” means BullionExchanges.com or any other Bullion Exchanges owned or operated website, as well as a website operated by our affiliates. Thereby, “your site” means any website(s), as well as software application(s) owned or operated by you and used for linking it to our Bullion Exchanges site. The terms “Link” or “Links” incorporate the references to any hyperlink(s) that send your site’s visitors to our site and was supplied by us after you have been accepted into our program. WHETHER YOU CHECK THE BOX OR CLICK ON THE “ACCEPT” BUTTON, YOU COMMIT TO ACCEPT THIS AGREEMENT'S TERMS AND CONDITIONS. 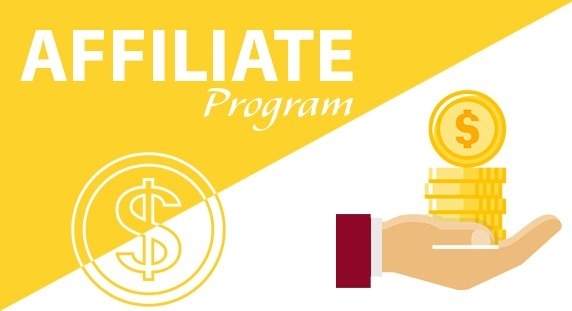 FURTHERMORE, IF YOU CONTINUE YOUR PARTICIPATION IN OUR AFFILIATE PROGRAM AFTER THIS AGREEMENT HAS BEEN REVISED OR A NOTICE OF CHANGE HAS BEEN POSTED ON THE BULLION EXCHANGES SITE, YOU (1) COMMIT TO AGREE TO BE BOUND BY THIS AGREEMENT; (2) ACKNOWLEDGE AND ACCEPT THAT YOUR PROGRAM PARTICIPATION DESIRABILITY HAS BEEN PERSONALLY EVALUATED BY YOURSELF AND ADMIT TO DO NOT RELY ON ANY REPRESENTATION, STATEMENT OR GUARANTEE OTHER THAN THOSE EXPRESSLY MENTIONED IN THIS AGREEMENT; AND (3) SHALL HEREBY WARRANT AND REPRESENT THAT YOU CARRY THE LEGAL RIGHT TO ENTER INTO CONTRACTS, MEANING THAT YOU ARE LAWFULLY ABLE TO ENTER ANY OF THEM (E.G. YOU ARE NOT A MINOR), AND THAT YOU COMPLY WITH THIS AGREEMENT AND SHALL REMAIN IN COMPLIANCE WITH IT UNTIL THE CONTRACT ENDS. IN ADDITION, IN CASE IF YOU ARE THE PERSON WHO IS AGREEING TO THIS CONTRACT ON BEHALF OF A LEGAL ENTITY OR A COMPANY, THEN YOU SHALL WARRANT THAT YOU ARE LAWFULLY AUTHORIZED AND ABLE TO REPRESENT AND BIND THIS ENTITY/COMPANY TO THIS AGREEMENT. You are prohibited from creating fake (counterfeit, false) coupons for the purpose of increasing CTR. You must contact us in order to receive the list of approved deals which you are allowed to share over the internet. If we rejected your application, you are free to reapply at any time. If your website was accepted, you are allowed and can display our Bullion Exchanges banners along with the associated hyperlinks. These Links will send your visitors to Bullion Exchanges site through a redirection at Share-A-Sale affiliate network. You can earn commissions only in accordance with the conditions described below. You will earn a commission only if a referred client will complete a qualified purchase by using a valid payment and only by following the links that direct the referred client to BullionExchanges.com (which were provided to you by us). Bullion Exchanges reserves the right to reject any commission for any sale which did not originate from your site. Clients who purchase products based on this program are considered as our clients concerning any activity they could undertake in connection with the Bullion Exchanges site. Consequently, as between us and you, all pricing, policies, rules, terms of sales, operating procedures regarding customer orders, product sales and customer service set forth on the Bullion Exchanges site, shall apply to those clients and we reserve the right to change them at any time. Subject to this agreement’s terms and conditions and exclusively for the limited purpose of redirecting visitors and end users to the Bullion Exchanges site in conjunction with this program, we hereby authorize you a limited, non-exclusive, non-transferable, non-sublicensable, royalty-free, revocable license to (1) copy the Link and display it solely on your site; and (b) use only those of our trademarks and logos which we may make available to you. This granted license shall be immediately and automatically terminated if at any moment you will not promptly comply with any of this agreement’s obligation or, otherwise, upon its termination. In addition, Bullion Exchanges reserves the right to terminate this license, either in part or in whole, through a written notice to you. In such case, you oblige to timely remove from your site, as well as delete and destroy all marks referring to Bullion Exchanges to which this license, outlined in this section, is terminated or, otherwise, as we may request in any other case. Other than the limited license specifically authorized in the above section, Bullion Exchanges reserves all title, right and interest in and to (together with all proprietary rights and intellectual property), and you do not, by this agreement’s virtue or, otherwise, acquire any rights or ownership interest to or in the program, links or link formats, our logos and trademarks, our affiliates logos or trademarks, any domain name which is operated or owned by us or our affiliates, as well as any other intellectual technology or property that we use or provide in conjunction with this program (along with any sample code, application program interfaces, software development kits, libraries and other related materials). In conjunction with your participation in our affiliate program, you shall be in compliance with all applicable regulations, laws, rules, orders, ordinances, permits, licenses, decisions, judgments, and other requirements of any governmental authority that has jurisdiction over you, including laws (federal, state or otherwise) that govern the marketing email (e.g., the CAN-SPAM Act of 2003). This agreement’s term shall begin from the moment when your program application is accepted by us and shall end when it’s terminated by either you or us. Any of the parties can terminate this agreement at any moment, with or without cause, through a written notice of the termination provided to the other party. Upon the termination, this agreement, along with all licenses which you have been authorized hereunder, will automatically and instantly terminate and you oblige to immediately stop using any of our marks or links. You oblige to instantly remove from your site, as well as delete and destroy all marks which refer to and links to us and Bullion Exchanges sites, and all links, along with any other previously provided materials made available by us, as well as on behalf of us, to you, under this agreement or otherwise, in conjunction with this program. Bullion Exchanges assures its right to withhold accrued unpaid advertising fees for a legitimate period following the termination to ensure that the correct corresponding amount will be paid (e.g. to account for any kind of cancellations or returns). No termination of this affiliate agreement shall relieve any party of any liability for any breach of, as well as any liability accruing under this agreement before its termination. Bullion Exchanges reserves its right to make changes to this agreement’s terms and conditions at any moment in our sole discretion, by posting the revised version of this agreement or through a change notice on the Bullion Exchanges Sites, or by sending you a notice referring to this modification through email, by using the address associated with your affiliate program account. IF ANY MODIFICATION IS UNACCEPTABLE TO YOU, YOUR ONLY RECOURSE IS TO TERMINATE THIS AGREEMENT. IF YOU DECIDE TO CONTINUE YOUR PROGRAM PARTICIPATION AFTER THE EFFECTIVE DATE OF ANY MODIFICATION, IT SHALL CONSTITUTE YOUR BINDING APPROVAL OF THIS CHANGE. You are an independent contractor. Nothing in this affiliate agreement shall create a franchise, joint venture, partnership, agency, sales representative or employment relationship between you and us or our respective affiliates. You are not granted with any authority to accept or make any offers and/or representations on behalf of Bullion Exchanges or on our affiliates’ behalf. You are prohibited from making any statements on your site or otherwise that contradict or may contradict anything in this section. BULLION EXCHANGES SHALL NOT BE LIABLE FOR SPECIAL, INDIRECT, INCIDENTAL, EXEMPLARY OR CONSEQUENTIAL DAMAGES (INCLUDING ANY LOSS OF USE, DATA, PROFITS, REVENUE, OR GOODWILL) ARISING IN CONJUNCTION WITH THIS AFFILIATE AGREEMENT, THE BULLION EXCHANGES SITE, OR THE AFFILIATE PROGRAM, EVEN IF BULLION EXCHANGES HAS BEEN ADVISED OF THE POSSIBILITY OF THOSE DAMAGES. FURTHERMORE, OUR AGGREGATE LIABILITY ARISING IN CONJUNCTION WITH THIS AFFILIATE AGREEMENT, THE BULLION EXCHANGES SITE AND THE AFFILIATE PROGRAM WILL NOT EXCEED THE TOTAL OF THE ADVERTISING FEES PAYABLE OR ALREADY PAID TO YOU UNDER THIS AFFILIATE AGREEMENT DURING THE SIX MONTHS IMMEDIATELY PRECEDING THE DATE OF OCCURRENCE OF THE EVENT WHICH GAVE THE RISE TO THE MOST RECENT CLAIM OF LIABILITY. THE AFFILIATE PROGRAM, THE BULLION EXCHANGES SITE, ALONG WITH ANY LINKS, LINK FORMATS, AND MARKS AND LOGOS REFERRING TO BULLION EXCHANGES, AS WELL AS ALL INFORMATION, CONTENT, MATERIALS, TEXT, DATA, IMAGES, SERVICES, PRODUCTS (INCLUDING SOFTWARE) USED OR PROVIDED BY BULLION EXCHANGES, ON BEHALF OF US OR ON BEHALF OF OUR AFFILIATES OR LICENSORS IN CONJUNCTION WITH THIS PROGRAM (HEREBY CALLED "SERVICE OFFERINGS") ARE PROVIDED "AS IS". NEITHER BULLION EXCHANGES NOR OUR LICENSORS OR AFFILIATES MAKE ANY KIND OF REPRESENTATION OR WARRANTY STATUTORY, IMPLIED, EXPRESS, OR OTHERWISE WITH RESPECT TO THESE SERVICE OFFERINGS. EXCEPT TO THE EXTENT PROHIBITED BY APPLICABLE LAW, BULLION EXCHANGES, ITS AFFILIATES AND LICENSORS DISCLAIM ANY AND ALL WARRANTIES ASSOCIATED WITH THE SERVICE OFFERINGS INCLUDING ANY IMPLIED WARRANTIES OF SATISFACTORY QUALITY, FITNESS FOR A PARTICULAR PURPOSE, MERCHANTABILITY, NON-INFRINGEMENT, AND QUIET ENJOYMENT, AND ANY WARRANTIES ARISING OUT OF ANY COURSE OF TRADE PERFORMANCE, USAGE, OR DEALING. BULLION EXCHANGES RESERVES THE RIGHT TO DISCONTINUE THE SERVICE OFFERING, OR CHANGE ITS FEATURES, SCOPE, NATURE, FUNCTIONS, OR OPERATION, FROM TIME TO TIME AND AT ANY MOMENT. NEITHER BULLION EXCHANGES NOR ANY OF ITS LICENSORS OR AFFILIATES WARRANT THAT THE SERVICE OFFERINGS WILL CONTINUE TO BE PROVIDED, FUNCTION IN ANY PARTICULAR MANNER, CONSISTENTLY, OR AS DESCRIBED, OR WILL BE ACCURATE, ERROR FREE, UNINTERRUPTED, OR FREE OF ANY HARMFUL COMPONENTS. 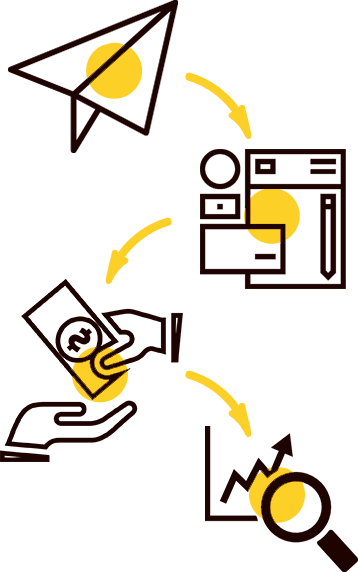 NEITHER BULLION EXCHANGES NOR ANY OF ITS LICENSORS OR AFFILIATES WILL BE RESPONSIBLE FOR (1) ANY KIND OF INACCURACIES, SERVICE INTERRUPTIONS, OR ERRORS, INCLUDING BUT NOT LIMITED TO SYSTEM FAILURES OR POWER OUTAGES; OR (2) ANY KIND OF UNAUTHORIZED ACCESS TO, DESTRUCTION, ALTERATION OF, LOSS, DELETION, OR DAMAGE OF YOUR SITE OR ANY OF ITS DATA, IMAGES, TEXT, OR OTHER TYPE OF CONTENT OR INFORMATION. NO ADVICE OR INFORMATION OBTAINED BY YOU FROM BULLION EXCHANGES OR FROM ANY OTHER PERSON, ENTITY OR THROUGH THE AFFILIATE PROGRAM, BULLION EXCHANGES SITES, OR AFFILIATE PROGRAM SITES SHALL CREATE ANY KIND OF WARRANTY NOT EXACTLY STATED IN THIS AFFILIATE AGREEMENT. FURTHERMORE, NEITHER BULLION EXCHANGES NOR ANY OF ITS LICENSORS OR AFFILIATES SHALL BE RESPONSIBLE FOR ANY REIMBURSEMENT, DAMAGES, OR COMPENSATION ARISING IN CONJUNCTION WITH (1) ANY LOSS OF PROSPECTIVE REVENUE, ANTICIPATED SALES, PROFITS, GOODWILL, OR ANY OTHER BENEFITS, (2) ANY EXPENDITURES, INVESTMENTS, OR COMMITMENTS BY YOU IN CONJUNCTION WITH THIS AFFILIATE AGREEMENT OR YOUR AFFILIATE PROGRAM PARTICIPATION, OR (3) ANY TERMINATION OF THIS AFFILIATE AGREEMENT OR YOUR AFFILIATE PROGRAM PARTICIPATION. In case if a dispute occurs, either you or Bullion Exchange LLC, must send a written notice of dispute to the other party, which is defined as a written statement that sets forth the name, contact information and address of the party which gives the notice, as well as the facts giving rise to the dispute and the requested relief. You shall send the notice of dispute to Bullion Exchange LLC, 30 West 47th Street, Suite 805, New York, NY, USA, Attention: Affiliate Legal/Arbitration Notice. Bullion Exchanges will send any notice of dispute to you to the address mentioned in the contact information received from you. In addition, you and Bullion Exchange LLC shall first attempt to resolve any occurred dispute through informal negotiation within sixty (60) days from the date when the dispute notice was sent. After sixty (60) days, you or Bullion Exchanges may commence arbitration. If the dispute meets the requirements to be heard in small claims court, you may also litigate a dispute in small claims court, whether or not you negotiated informally first. All claims and disputes that (1) are between Bullion Exchange LLC and you or either's affiliates, parents, subsidiaries, officers, directors, and/or employees, and (2) arise out of or are associated with these terms and conditions or their subject matter, enforcement, interpretation, or performance, or any other occurrence, transaction or agreement between Bullion Exchange LLC and you (including, without limitation, any tort or statutory claim) (hereby referred as "Dispute") shall be arbitrated under the Commercial Arbitration Rules of the American Arbitration Association ("AAA"), in English In New York, NY, before one neutral arbitrator who may be a national of any party and who shall be a member of the AAA's Large Complex Case Panel. All the Dispute relevant information and documents in possession of any of the parties shall be made available to the other party not later than sixty (60) days after the arbitration demand is served, and the arbitrator may permit such depositions or other discovery deemed necessary for a fair hearing. Additionally, the arbitrator shall have the power to require discovery of third parties (including testimony and documents) to the fullest extent allowed by the laws of the State of New York. The hearing may not exceed two (2) days. The award shall be rendered within 120 days of the demand. The arbitrator may award interim and final injunctive relief and other remedies, but may not award exemplary, treble, punitive, or any other enhanced damages. To the fullest extent permitted by law, no arbitration under the agreement documents shall be joined to an arbitration involving any other party, whether through class arbitration proceedings or otherwise. No time limit herein is jurisdictional. Any award of the arbitrator (including awards of final remedies or interim) may be confirmed or enforced in any court having jurisdiction. Regardless of the above, Bullion Exchange LLC or you may bring claims or court proceedings against each other (1) exclusively as part of a separate litigation which is commenced by an unrelated third party, or, (2) if not first sought from the arbitrator, exclusively to obtain in the state or federal courts in New York, NY, temporary or preliminary injunctive relief or other interim remedies pending conclusion of the arbitration. In the case of contradiction between this Section’s provision and the Commercial Arbitration Rules of AAA, this Section shall prevail. The remedies or limitations which were described above may be deemed inoperative to the extent that is necessary to preserve the enforceability of the agreement to arbitrate. If any provision of this agreement to arbitrate is held unenforceable or invalid, it shall be so held to the minimum extent required by law and all other provisions shall remain enforceable and valid. This affiliate agreement shall be governed by and construed according to the laws of the State of New York, regardless of any conflict of laws rules. Any dispute arising out of this affiliate agreement shall be submitted to a federal or state court sitting in the city of New York, NY, that will have exclusive jurisdiction regarding the dispute and to whose jurisdiction the parties irrevocably submit. Who Wants to be Our Next Bullionaire?